Relaxation Massage, Therapeutic Massage, Pregnancy Massage, Hot Stone Massage. 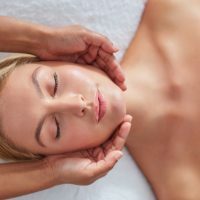 Massage increases relaxation, well being, energy, whole body awareness, circulation, range of motion, flexibility, clearance of metabolic wastes and promotes a much deeper sleep pattern. Massage decreases stress levels, pain, stiffness, muscle tension, muscle spasm, blood pressure, heart rate, swelling, scar tissue formation, and helps achieve a faster recovery from injury. Located in the Chaparral Plaza on 194th Avenue SE. ​Relaxation Massage is a good treatment to reduce stress in your everyday life. Stress can cause health problems or make them worse. Massage is found to reduce levels of cortisol and to decrease a person’s perceived stress and anxiety levels. Massage therapy has a positive impact in lowering the effect of stress on the body by increasing ones ability to cope by improving the ability to relax. Frequent massage during your pregnancy/postpartum period helps you to relax, loosen tighten muscles, can relieve your physical symptoms, and help you sleep better. Please inform your primary healthcare provider before receiving pregnancy or postpartum massage. Therapeutic/Deep Tissue Massage can help improve many conditions of the body and is recognized as effective in reducing or managing pain. Stretching, myofascial work, trigger point therapy, and heat or cold may be used to help achieve a more therapeutic treatment along with a deeper pressure to release the tension of muscles in the body. Indulge in a Hot Stone Massage for the ultimate in relaxation. Smooth lava stones are heated and placed on the back to warm the muscles. 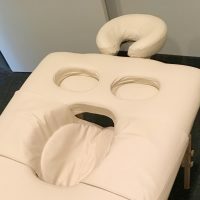 The massage therapist also uses other heated stones to work on the client’s body using gentle massage strokes.The heat from the stones penetrates deeply into the muscles, increasing circulation, which allows the tissues to detoxify, and help the muscles to relax. Hot Stone Massage also helps to soothe sore muscles and decreases muscle spasms.